Article by Manfred Bortenschlager added on 7 Nov 2013. Last updated on 7 Nov 2013. The following article was written by Manfred and was originally posted on his blog. This post falls under the category personal efficiency. 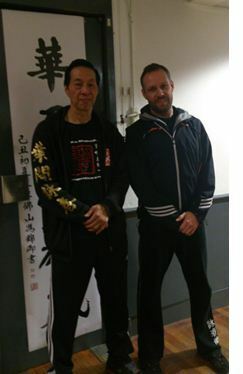 I recently attended another great 5h martial arts seminar with Sifu Samuel Kwok. Samuel is grandmaster of Wing Chun Kung Fu which is the style I am practising. You can find more about this style, background and history on Samuel's web site or on Sifu Frank Häberlin's web site. What is so fascinating about martial arts and Wing Chun in particular, is that it is not just martial arts but a philosophy system that goes beyond just fighting. There are a lot of principles which can be applied to life in general or management and business. These principles can improve your competences in problem-solving or decision-making and contribute to your personal efficiency. 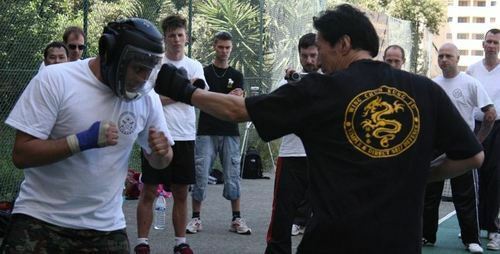 In this post I would like to outline these principles and define them in a way such that they are true for Wing Chun and fighting but can also be applied in general situations. I appreciate that one will get the most out of these principles if s/he has experienced them in action in martial arts. This is where the body and mind duality comes in where the one affects the other both ways. I separate the principles into four major and five minor, purely based on my perception of importance and how I set my priorities in internalising these principles. Below is a description of every principle in more detail. The first principle is to use principles over techniques and hence, is a circular definition. The idea is to focus on learning and internalising underlying and generally applicable principles rather than context-specific techniques. It is impossible to have a prepared answer for every question. This is the first real principle and suggest to achieve a target with the least necessary resources by avoiding un-purposeful efforts and by keeping it simple. The implication in life should be fairly obvious, which is to avoid getting bogged down in non-critical or non-value adding activities. In Wing Chun, for instance, we have no high kicks or fancy jumps because you can achieve your target (defend yourself or attack the opponent) much simpler with less motion requiring less energy. The centerline theory suggests to protect and use at the same time your core competences and assets to your advantage. In other words that means focusing on strengths and taking very well care of critical resources. In Wing Chun the centerline is a imaginary line that runs vertically down the body center. It is important to protect or attack this line as many vital body parts are on or around that line and it is where the structure is strongest due to the centerpoint of balance. We can only develop strength and execute powerful actions if these are based on a solid and balanced foundational structure  literally as well as metaphorically. In Wing Chun we have a particular stance that reinforces that. In life the principle is manifested in a balanced personality by having a balanced life. A great model to achieve a balanced life are the six dimensions of wellness (originally described by Dr. Bill Hettler). The straight line theory is strongly related to focus and basically suggests taking the directest route to your target. Remove all occurring impediments immediately, but have the principle of economy of motion in mind. If there is a way around an impediment which requires less motion or resources, do that. In Wing Chun, if one encounters a very strong block s/he may change position by simply shifting weight, which changes the angle of the straight line and another action can be executed easier. Wing Chun is a martial art system for self-defense. Naturally, in a self-defense situation someone wants to harm someone else. Thus, a further principle is to constantly and unrelentingly keeping on going and following through till target is achieved. In a self-defense situation that means using the appropriate means to defend oneself till safety is restored. In non-fighting situations, I found that principle very encouraging in inconvenient or stressful situations, where I had to struggle through. Responsiveness is especially important in fast-paced situations where a reaction is required quickly. In Wing Chun, we learn and teach trying to stay relaxed (physically and mentally). Only if a person is relaxed, tensing can be avoided and reactions are executed quickly and appropriately. In fighting as well as in life or business, it is disadvantageous to have or in particular expose weaknesses. In Wing Chun, we strive to be equally skilled with both sides of your body (left+right). One cannot be excellent at everything but at least the weaker areas must not become obvious areas for attacks. If ambidexterity is achieved, Wing Chun emphasises on simultaneousness. That means, defense and attack are executed at the same time, which gives the Wing Chun practitioner the surprise- and time advantage. Cleverly devised tactics can achieve the same effect in business. In Wing Chun, we have the principle that as soon as we have engaged with an opponent we stay in very close combat and in contact because that makes us more effective in anticipating the next actions or attacks. This is referred to as "sticky hands". In life apart from martial arts, I would translate this into staying alert and having ones' sensors alert so to know, understand and be able to read one's environment (such as the market, customers or competitors). It is fascinating how models can be used to explain complex constructs which otherwise would be very difficult to grasp and even more difficult to internalise and automate. This is an important learning process. It is even more fascinating how two seemingly unrelated fields (martial arts and business) actually can have a lot of principles in common. In fact, it makes life simpler if there are common principles because no context switch is necessary and one can focus better. One final thing I wanted to highlight: While models and principles are important, there is nothing that can replace the right foundational values. Everyone has her/his own value system. For me the driving value is passion, which is basis for the willingness to be creative, diligent and work hard. I synthesised these principles with the support of my direct instructor Sifu Dan Knight who runs the Putney Wing Chun school in London, UK.